Poncho8 (@Ponchono8) is one of London’s most successful burrito bars, with six locations across the city and a distinct, quirky style. Their aim is to create top quality food and offer the best customer service in a fun, comfortable environment. Poncho8 regularly uses Twitter as a channel for providing the highest level of customer service. With their quick and friendly responses, Poncho8 has built a strong identity for the business. For the opening of their new Paddington restaurant, Poncho8 needed to boost Tweet engagements to create awareness of the launch and bring customers through the doors. The Poncho8 team decided to run a Tweet engagements campaign with Twitter Ads. Targeting young business professionals and foodies in London. "We wanted to see business results from our investment with Twitter Ads. With this campaign, we felt we were able to achieve this." To encourage people to share their content, Poncho8 created Promoted Tweets that had a fun, light, and quirky tone. They also promoted the launch event by highlighting their menu and special offers. 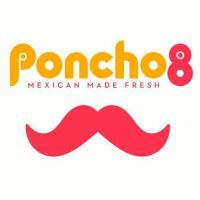 In addition to people interested in food, Poncho8 wanted to reach young business professionals in London. To achieve this, they targeted followers like those of well-known and trendy publications such as @londoneating, @standardnews, and @TimeOutLondon. Poncho8 closely monitored the performance of their campaigns and then adjusted their targeting to focus on the audiences that drove the best results. Interact with people in a way that is timely and friendly. Poncho8 used Twitter to provide highly personal responses that engaged their customers. Learn how a food brand increased their Tweet engagements. Learn how follower targeting can help you connect with the right audience.